A world away from the Ginsters pasties and microwave apple turnovers that are hotter than the sun, this vision of Americana petrol station loveliness is (obv) inspired by the hot rod-inspired sandals and beautiful 1950s-ish car prints that were at the heart of the collection. All flaming tail fins, immaculate headscarves and Betty Draper glares, it’s like a high-fashion take on Grease. 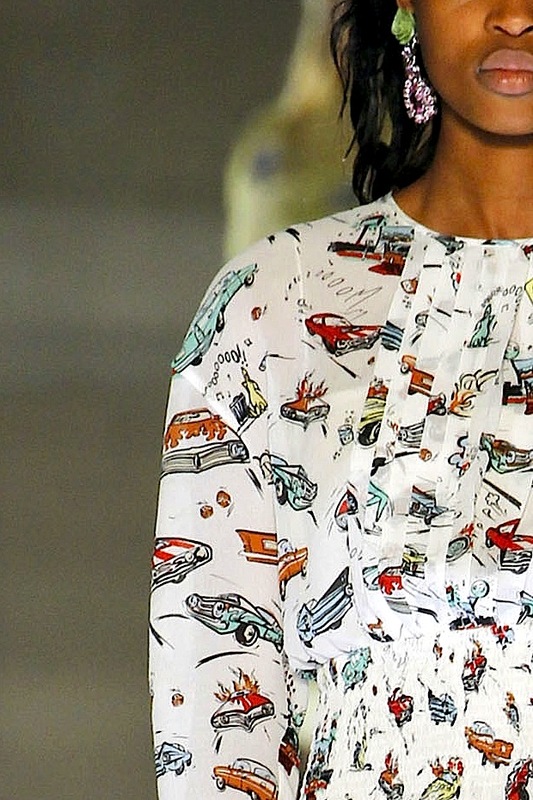 And Grease is pretty high fashion already, soooo….